Payday loan is very common in Canada; people who are in urgent need of cash may be inclined towards borrowing money from these lenders. There are several lenders in Canada working online as well as from physical locations. An interested person can apply for payday loan either online or offline. There are some regulations and laws governing payday lenders that have to be followed by them so that government can keep regulate the lender’s activities. There are some terms that are defined in the regulation and certain conditions for the lenders to follow. Given below are terms and regulations that are defined by the government that comply to all payday lenders. (a) “Cash card” represents a card or device that is issued by a lender to the customer borrowing payday loan instead of transferring money into his bank or advancing cash that can be utilized to acquire cash or obtain goods/services, but does not comprise a credit card; (b) “Discounting” means the method of withholding or deducting from the original advance (c) “License” means a license to provide or arrange payday loans to customers; (d) “Payday lender” implies a person who arranges, offers and provides payday loans; (e) “payday loan” implies any progression of money with an amount of $1500 or less and a repayment term of sixty two days or less made in exchange for a pre-authorized debit, post-dated cheque, or a future payment of a same nature, but this payment cannot be used for any guarantee, overdraft protection, security, or collateral property and not through a margin loan, a line of credit, pawn brokering, or a credit card; (f) “Payday loan business” implies an action of arranging, offering, or giving out payday loans by payday lender; (g) “Rollover loan” means renewal or extension of payday loan that enforces additional charges or fee from borrower, apart from interest, and includes an advancement of a fresh payday loan to repay a current payday loan. The conditions of this Regulation concern: (a) to each payday loan lender that arranges, offers, or provides a loan to a customer in Alberta, whether the lender works from business location or online, and (b) To every payday loan borrowed, despite of the number of lenders involved in payday loan. (c) The General Licensing and Security Regulation (AR 187/99) affect the payday lending business. 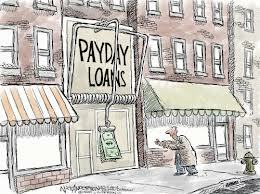 (d) This law does not validate on a payday loan sanctioned before the force of this Regulation came into action. It relates to renewal or extension of a payday loan granted or made after this Regulation came into force. The class of license to be identified as the payday lending business license is created. A lender holding a payday lending business license is certified to run a payday loan business. (1) If a lender engages in the business of creation of loans at more than one locality (2) Must identify each position at which the payday lenders employ in the business of creating payday loans. (3) A payday lender must significantly exhibit a copy of the license in every location with the name of the license holder. (4) If the payday lender employs in payday lending business through Internet, the lender must show a copy of his license, notably on the top of the preliminary page of their website for the Alberta loan borrowers. (1) A lender shall not employ in the business of lending payday loans at all locations in Alberta under a business name that varies from every license holder (2) Where a lender who has a license in regards of more than one location propose to engage in the payday business at a fresh location, the lender shall not employ in any business at a fresh location until the lender has attained a license for that location. (1) A payday lender shall not correspond to, by implication or expressly, that a payday lending license is an approval or endorsement of the payday loan lender by the Government of Alberta. (2) Subsection (1) does not exclude a payday lender from representing that a lender is certified under this Regulation. These sections and laws govern all payday lenders so that an eye can be kept on their activities and a fixed rate of interest is applicable to all the lenders alike. These regulations help in protecting the customers and allow them to report any lender not abiding by these rules. If you are a borrower then you must look at the license of the lender and also confirm the rate of interest before borrowing so that you are not charged any extra fee or additional charges. This will help you in borrowing payday loan at a reasonable cost and repay the loan on time as well. Approved in 1 hour*. Same day deposit! BC-Loans is a company that specializes in emergency loans ranging beetween $500-$750. We differenciate ourself with our flexible payment plan and our world class customer service. The loan application process is 100% safe. Our company guarantees that your information will be kept confidential. All applications are subject to a screening process in order to ensure that the borrower meet our eligibility conditions. © 2019 BC-Loans | All rights reserved.